Badal drives us quietly in the way of all good men. 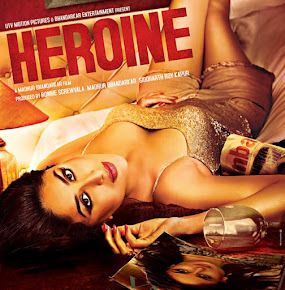 The only answer to that is to play the ominous-sounding title song “Main heroine hoon”. 2. A reader on FB wrote rather indignantly that this was NOT a review, only a reaction to the film. I must admit, rather sadly, that unrestrained as I am by an editor or word-count, most of my so-called ‘reviews’ are only reactions to films. For a more intelligent review of the film, you could go here. I think if the reviews are entertaining enough there’s no need to see the film only. You suffered so we didn’t have to – thank you! I salute you for sitting through it,but it looks like you had fun. That’s the only way to suffer a bad movie, I think. Well, Anu, I like bad movies, because they make me laugh, and I find it easier to write about bad movies than about good ones that I really like. 😦 Must be something wrong with me. “Soya Soya Chand” was what my sister called it, because it put her to sleep. I kept awake because I wanted to see what happened. Thank you for the warning on this one – I hadn’t been meaning to see it anyway, but now I’ll know to steer absolutely clear! Long may you watch terrible movies and entertain us with your reviews/reactions! I’m with Dipali. I love my visits here, Banno: always full of colour…. Thank you, Kate. 🙂 Though I always do feel embarrassed a little, in the face of your beautiful, lucid writing. I do so enjoy this page. Even when you laugh at something, or say something blunt, I can see that underneath it is a deep love for cinema.. Thank you, Nadi. That is really true. I think this review works better than the one you gave the link to. Why should I waste my time reading all those words when I can just read your review, which is more entertaining (unlike the film itself). This film doesn’t deserve more words. This is awesome. Thanks for the laughs, Banno!